So you want to live in the Mediterranean but you have to make a budget to afford Taco Bell? Well, the Italian town of Sambuca has just the deal for you. 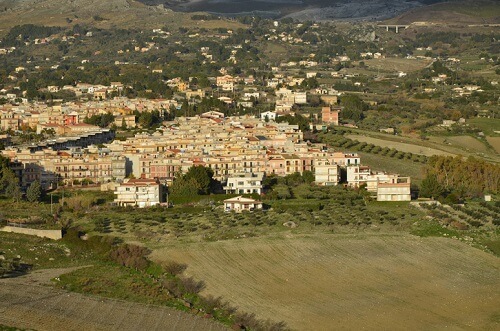 The small hilltop town, located on the Italian island of Sicily, has placed dozens of homes on the market for just over a dollar, according to a CNN report. The move is intended to boost population in the rural community, which, like many other small towns in Italy, has lost residents to larger cities in recent years. To combat that, the city fathers have started selling homes for one euro – about a buck-fourteen US as of Wednesday. Other Italian towns have tried to lure outsiders with similar programs, but Sambuca officials say that they’ve done away with much of the red tape that usually comes along such deals, CNN reported. Of course, there is a catch. New owners must promise to refurbish their home within three years, at a cost starting at about €15,000 ($17,200), CNN reported. They must also pay a €5,000 security deposit, which will be returned once the refurbishment is complete. But buyers will find the outlay worth it, Cacioppo said. Sambuca is an ancient town, founded by Greeks and conquered by the Saracens around A.D. 830. The city is a patchwork of architectural styles, with a heavy Arab influence. But with the population shrinking, Cacioppo told CNN that the town needed fresh blood.